Chuckle: Boy: "Grandma, do you know how to croak?" "No, I don't think so. Why?" "Because Daddy says he'll be a rich man when you do." "Whoever acknowledges me before men, I will also acknowledge him before my Father in heaven. But whoever disowns me before men, I will disown him before my Father in heaven" (Matthew 10:32-33 NIV). If you have, or have had, teenagers in your home, you know many of them go through a stage, around 14 or 15, when they want nothing to do with their parents. They don't even want to be seen with them. Acknowledging their dependency on parents is not something they want to do. They're much too grown up for childish things like that. I've learned such conduct is not uncommon for teenagers as they struggle for personal identity in that troublesome time between childhood and adulthood known as adolescence. Sadly, there was a close follower of Jesus who disavowed any connection with Jesus when he was taken into custody on the evening before his crucifixion. Earlier, Jesus had predicted that Peter, one of his closest disciples, would deny him three times before the rooster crowed in the morning. Of course, Peter said he would never deny or disown his Lord. But as Jesus had predicted, when the going got rough, Peter denied he even knew Jesus on three separate occasions recorded in John, chapter 18. Peter's third and final denial went like this: "One of the high priest's servants . . . challenged him, 'Didn't I see you with him (Jesus) in the olive grove (where Jesus was arrested)?' Again Peter denied it, and at that moment a rooster began to crow" (John 18:26-27 NIV). It is one thing for teenagers to temporarily fail to acknowledge their parents before their friends. It is another thing altogether for Christians to fail to acknowledge their Lord and Savior before those around them. Those of us who publicly acknowledge and identify with Christ have his promise that he will acknowledge us before his Father. Our witnessing about what Christ has done in our lives reveals our relationship to him. Jesus left no doubt that there is no place for secret disciples. By every word we say and by every act we perform, we are to publicly confess Jesus Christ as Lord and Savior. Such public confession will reap eternal rewards. If our faith is not strong enough to cause us to be identify with Christ, we cannot expect God to be gracious with his rewards. When the rooster crowed, it reminded Peter of the gravity of what he had done, and, fortunately, Peter repented, was forgiven, and later became one of the strongest New Testament voices for his Lord. Maybe you have denied or disowned your Lord by words or actions. Maybe people have no clue that you are even a Christian because of your hesitancy to speak out and be identified with Christ. If so, you may need to bow before God and ask forgiveness and cleansing. Then, in the power of the Holy Spirit, identify with Christ at every opportunity. "You are my lamp, O Lord; the Lord turns my darkness into light" (2 Samuel 22:29 NIV). "This is the message we have heard from him and declare to you: God is light; in him there is no darkness at all" (I John 1:5 NIV). Have you ever laid on your back in soft grass, on a cool dark summer night, gazing at the star-lit heavens and were amazed by what you saw? Have you realized that if it were not for the darkness of night, we would never see the brilliance of God's celestial creation? The light of the stars and planets that appear so brightly would never be observable without the darkness. In a similar way, were it not for the dark times in our lives, we would miss many opportunities to see the brilliance of God's light and love to give us hope, healing, and heightened appreciation for his wonders. We all experience dark times -- times when someone has disappointed us, an unexpected illness has taken over our bodies, a child has broken our hearts, or a financial crisis has become overwhelming. Sadly, at times like these, many turn to everything and everyone for light to illuminate the darkness and give them the help they need, instead of turning to God. When we have allowed ourselves to drift away from God, we are often reluctant to come back to him and other Christians who love us and want to show us the light of God's love, which we can no longer see. From childhood, we fear the dark and have a distinct preference for daylight over darkness. But aren't you thankful for the darkness of night that makes it possible to see the beauty and magnitude of God's creation? We can also be thankful for the dark times in our lives if, while in the darkness, we look for the light rather than hiding our heads in despair. You may have heard the saying that goes something like this: "You can light a candle or curse the darkness." Well, let's modify this saying, "You can curse the darkness or turn to the Light of the World!" In the dark times, we can let the light of his love wash over us and change how we feel about ourselves, our circumstances, and other people around us. Jesus himself had to go through dark times as he faced the horrible prospect of the cross. At Gethsemane, he said to his disciples, “My soul is overwhelmed with sorrow to the point of death." Then he prayed, "My Father, if it is possible, may this cup be taken from me. Yet not as I will, but as you will" (Matthew 26:38-39 NIV). In his darkest hour, he turned toward his Father who made the darkness more bearable and understandable by showing him light on the other side. The next time you look up at the stars on a dark night, remember the words of Sir Thomas Browne, "Were it not for the darkness . . ., the noblest part of the creation would remain unseen." And also remember, were it not for our dark times in life, the full dimensions of God's love and power would not be experienced. Chuckle: "Sometimes I pretend to be normal -- but it gets boring, so I go back to being me." "I come that they may have (and enjoy) life, and have it in abundance (to the fullest, till it overflows)" (John 10:10 TAB). God wants us to be victorious in life. By living at the highest level, you can say, "my life counts -- my life makes a difference -- my life is worthwhile -- I matter." Significance is found in Jesus Christ. God says in I John 5:11-12 (NIV), "God has given us eternal life, and this life is in His Son. He who has the Son has life; he who does not have the Son does not have life." God created you and He has a purpose for your life; and that purpose is in Him. Simon Peter discovered this truth. He was a successful fisherman on the Sea of Galilee; but one day he met Jesus and discovered God's purpose for his life and everything changed. Jesus said, "You are the Rock." Peter was not a very stable person, but Jesus called him "the rock." He was the kind who would storm the very gates of hell and win. Peter must have thought, "does He really know who I am?" Jesus wasn't looking at what Peter was but what he could become. God sees your potential today, and knows that significance does not come from being the head of a company, or running a successful ranch, or being at the top of your profession. Significance comes when your life is linked to that of your Creator by a personal relationship with Jesus Christ. Only through Jesus, the water of life, can we find true life. Then we begin a trip called significance. We begin to implement God's plan for our lives. It's not how much we can achieve; it's how low we can go to make a difference in the lives of people as God begins to unfold his plan for our lives. Your significance comes from a relationship with Jesus. Believers are said to be "in Christ." You may not feel significant today, but you are his masterpiece -- someone special -- holy -- a choice possession. Your name is written down in heaven. This makes you special indeed. Maybe you have trusted Jesus but don't feel very significant. Maybe you are older and can't do what you once could. That doesn't change the fact that you are special in Christ. It's never too late to discover your purpose in life. Your life of significance comes from having a purpose. God has a purpose for your life, unrelated to your earthly achievements. Acts 13:36 NIV says, "For when David had served God's purpose in his own generation, he died." God has a purpose for you until he calls you home. Your purpose is to demonstrate to the world that He is the God He says He is -- to show Jesus Christ to all people. Along the way, He will fulfill the longings of your heart. God's power, love, and mercy will flow through you. If you can grasp who you are in Christ, you will find new excitement and a sense of purpose and significance. Chuckle: "Many girls like to marry military men. They can cook, sew, make beds, are usually in good health, and they take orders well." ". . whoever wants to become great among you must be your servant, and whoever wants to be first must be a slave to all. For even the Son of Man did not come to be served, but to serve, and to give His life as a ransom for many" (Mark 10:43-45 NIV). To live a life of victory and fulfillment, you should recognize that God saved you and remade you to be a servant. We are all to be servants, not bosses. When we try to run our lives and try to be the boss or king, we do not achieve what God wants for us. Real significance comes when we begin to serve God by serving others. The King of Kings and Lord of Lords left his place of glory at the right hand of the Father to be a servant to you and me. That's why he touched the leper that no one else would touch. He hugged the publican tax collector and a Pharisee that no one else would hug. He went home with Zacchaeus that no one else would be seen with. He reached out to prostitutes, outcasts, and others because He came to serve. What about you? What is your attitude toward being a servant? If we aren't careful, we will find ourselves serving to be served. Let's say you are asked to teach a Sunday School class. You prepare and do your best, but no one comes to say, "that was a good lesson - you did a great job." How do you feel? Do you say, "thank you Jesus for giving me an opportunity to serve"? Or do you go home upset because you didn't receive praise from class members? If so, you didn't teach to serve but to be served. If someone says nice things about our acts of service, we are blessed, but we should not do them for the praise of people. The night before Jesus was crucified, he came together with his disciples and washed their dirty feet to teach them a lesson in servanthood. Bill Hybell captured the essence of being a Christian servant this way. "I would never want to reach out one day with a hand that is soft, uncallused, not dirtied by service and take hold of the nail-pierced hand of Jesus." Satisfaction and significance in life comes from service. Are you missing out on the joy of serving others? T.S. Mooney had a lot of money, power, and prestige. Even so he gave 50 years of his life teaching boys in Sunday School. His class mission statement read: "Every boy will have a Bible in his hand, the Savior in his heart, and a purpose for his life." He led hundreds to Christ and watched them lead lives that made a difference. He kept records and prayed for them. When he died, a book of names was found under his body. He died praying. At 70, he was running a youth activity at his church. Are you willing to be a servant? Chuckle: A not so bright young lady was asked: "If you are in a vacuum and someone calls your name, can you hear it?" She thought for a time and then asked, "Is it on or off?" "So then, people ought to regard us as servants of Christ and as those (stewards) entrusted with the secret things of God. Now it is required that those who have been given a trust must prove faithful" (I Corinthians 4:1-2, NIV). The word "steward" means one who manages someone else's money or property. The Bible says we are stewards of the resources God has entrusted to us: time, abilities, money, and the gospel message. For a life of significance, you must give up trying to be the owner and just be thankful for what God has entrusted to you as a steward. In our passage, Paul's emphasis is on our being faithful as stewards of "the secret things of God." Being good stewards of the gospel means we have first experienced it, then we are faithful to share it truthfully and accurately with others. Now to stewardship of earthly things God has entrusted to us. "The earth is the Lord's and the fullness thereof" (Psalm 24:1). "The cattle on a thousand hills belong to the Lord" (Psalm 50:10). "The silver and the gold are mine saith the Lord" (Haggai 2:8 NIV). Have you fully acknowledged His ownership of everything you have? Have you said, "Lord, I want to manage faithfully what you have entrusted to me"? Here are two tests that will help you to know if you're a faithful steward. 1. The time test. Do you recognize time as a gift from God.? "Remember the Sabbath day by keeping it holy" (Exodus 20:8 NIV - the fourth of the Ten Commandments). After Jesus had risen from the dead on Sunday, most believers changed the Sabbath to the Lord's day, the first day of the week - one day set aside as holy unto God. Do you gladly give a portion of your time to the Lord and his work? It has been said that time is the currency of the twenty-first century. In this day of relative affluence, we are more selfish with our time than with our money. But every second of time is a gift of God and he expects us to use it to honor him. 2. The money test. I acknowledge God as the owner of everything by using the money and possessions He has entrusted to me for God-honoring purposes, and by returning to Him the tithe (ten percent) as He requires (Malachi 3:8-12, Matthew 23:23). Tithes and offerings from his people are God's way of supporting his work - both in the old and New Testaments. The tithe is the Lord's. By returning the tithe to God through His church, you are saying to Him that all I have is yours and in gratitude I'm faithful in the tithe. Jesus had more to say about money then heaven or salvation. He knew selfishness and greed would be among our greatest problems. A kind man took a dirty little boy to a candy store and told him to get any candy he wanted. After the boy had picked a few pieces, the man told the clerk to fill the boy’s sac. Then he asked the boy if he was happy. The boy said, “Oh yes, I’m happy.” Then the man asked, “would you give me a piece of your candy/” The boy said, “No, it’s mine,” and ran. God says to us, "look at all I've entrusted to you. Won't you acknowledge that by giving me back a portion to support my work on earth?" And we say, "NO, IT'S MINE!" "And whatever you do or say, let it be as a representative of the Lord Jesus, all the while giving thanks through him to God the Father" (Colossians 3:17 NLT). We often hear references to the Christian lifestyle or way of life. It's easy for us to assume that we are living the way Christ desires us to live. Perhaps we are, and perhaps we're not. I believe we all would say we want to live a wholesome and holy Christian life. But we all know we have not reached the level of holiness that our Lord desires for us. The key question is not "am I all I ought to be as a Christian?" Rather it is "am I in the process of becoming the Christian God wants me to be?" By bearing the name "Christians, we are representatives of Christ whether we choose to be or not! We cast Jesus in a favorable or unfavorable light in the eyes of non-believers depending upon how we live. What message do others read about Jesus by watching you and me? I must ask myself, what impression of Christ do people have when they see my actions or hear me talk? People look at our lives for the characteristics of Jesus as describe in the Bible. They also look to see if our walk is consistent with our talk -- do we live the way we say we live? Does our language always honor Christ and edify other people? Our passage tells us that whatever we do or say, let it be as a representative of the Lord Jesus. This means bringing honor to Christ in every aspect of our daily living. The moon shines brightly in the night sky because it reflects the light from the sun. Without that reflected light, the moon would not shine and would become lost in the darkness of space. The believer in Christ shines only because of the reflection of Christ's light. Without that reflected light, the believer becomes lost in a world of darkness and sin. He cannot represent Christ in a positive way. If you are a Christian, you can be assured that you are being observed and evaluated. Of course, we should never serve our Lord for the recognition of other people but to be obedient and please our Lord. However, since Jesus has given us the mission of making disciples of all people, we can give great credibility to the gospel message if our lives accurately reflect the character of Jesus Christ our Lord, the one we represent. We must remember, however, that we can never live the way Christ would have us live without total dependence upon God's Holy Spirit to guide us and give us strength. The only way we can know true victory in our Christian living is in the power of the Spirit. Jesus said, "Look around you! Vast fields are ripening all around us and are ready for the harvest. The harvesters are paid good wages, and the fruit of their harvest is people brought to eternal life." (John 4:35b-36 NLT). Every believer, should want to reach people for Christ and bring them into fellowship with the church. But many churches are seeing both membership and attendance plateau or decline. We know it is God's will for Christ's church to grow both numerically and spiritually. Let's prayerfully think about being more effective "harvesters" together in the power of the Holy Spirit. Nothing fails like success. This statement may sound strange; however, dwelling on past success can cause us to become complacent and depend on the methods that were successful in the past to reach people for Christ today. Some may say, "It worked for us for many years, and it will work now." This is not necessarily true. The world is rapidly changing and the people we are trying to reach are vastly different from those of the past. So, our past successes can cause us to fail today by depending upon outdated methods and traditions. Nothing succeeds like failure. If your church is declining, it is failing, and such failures should alarm us and cause us to examine our hearts and become innovative in our approach to reaching and teaching people. It is God's plan that His church be a moving force in our communities and the world, and that people be drawn to Him by the love and ministry of God's people. We need to pray for His help in becoming more Spirit-led, innovative, and effective in our outreach. Our discontent with the status quo and concern for people should motivate us to change our approach to reaching them. If our current failures cause us to make changes, then our failures have become our motivation for success. A sure way to fail today is trying to improve on yesterday's success. In years past the centers of social life in our agrarian society were the local schools and churches. If something was going on at either, people would come. Not so today. There are too many attractions competing with the church for people's attention and allegiance. People will still respond to the undiluted gospel message, but it must be packaged differently by Christians who think differently than in the past. It must be perceived as relevant to people's lives and provide a desirable alternative to the world’s agenda. Sadly, it seems some Christians are content to sit on their hands, worship traditions, and watch as their congregations dwindle and die. God wants us to pray up, get up, get out, get going, and get people who need to know Christ. If we have the "want to," the Holy Spirit will empower us and God's Word will teach us the "how to." The gospel message must never change, but our methods of delivering that message must change. Chuckle: My paramedic partner and I were taking a disoriented 92 year-old man to the hospital for evaluation. En route, with the siren going, I questioned him to determine his level of awareness. "Sir, do you know what we're doing right now?" He slowly looked at me then out the ambulance window. "Oh," he replied. "I'd say about fifty, maybe fifty-five." "I have been reminded of your sincere faith, which first lived in your grandmother Lois and in your mother Eunice and, I am persuaded, now lives in you also" (2 Timothy 1:5 NIV). Young Timothy was a faithful understudy and companion of the apostle Paul. In First and Second Timothy, Paul teaches Timothy about the importance of his faith and service to his Lord. Timothy's grandmother and mother were early converts, perhaps through the ministry of Paul in their home city of Lystra. They had been faithful to communicate and demonstrate their faith to Timothy and were strong influences on his life. This passage reminds us once again of the importance of setting an example of faith for our children and grandchildren. What a beautiful compliment Paul made to Timothy when he characterized his faith as "sincere." In the original Greek language, the word translated here as "sincere" means without hypocrisy -- real with no pretense -- unfeigned. This kind of faith should be your goal and mine. But there is a never-ending struggle within each of us as we try to make our walk match our talk when it comes to our faith -- to practice on Monday what we profess on Sunday. With God's help through His Holy Spirit, we too can have sincere faith and defeat the hypocrisy temptation within each of us. Even though Timothy's father may not have been a believer, this did not stop his mother and grandmother from nurturing him in his faith. There is no more fertile soil for planting the seeds of faith than in the home. However, parents can easily fall into the practice of leaving the spiritual training of their children up to the pastor or Sunday School teacher. God has given parents the specific responsibility for bringing our children up in "the discipline and instruction approved by the Lord" (Ephesians 6:4). One last thought about the word, "sincere." It is the object of your sincere faith that determines whether or not your sincerity means anything. Many have a sincere faith in false gods, and their sincerity means nothing to the One God, our Heavenly Father. Our goal should be to have sincere faith in the One (Jesus) who said, "I am the way and the truth and the life; no one comes to the Father except through me" (John 14:6 NIV). "What is faith? It is the confident assurance that what we hope for is going to happen. It is the evidence of things we cannot see. God gave his approval to people in days of old because of their faith" (Hebrews 11:1-2 NLT). It is often difficult for us to accept as reality the things we cannot see, hear, or feel with our physical senses. Some people never get to the point of seeing reality through the eyes of faith. Until we can rest assured and are confident that God is who He says He is and that what He has promised will actually happen, we cannot exercise the kind of faith that pleases God. "So, you see, it is impossible to please God without faith. Anyone who wants to come to him must believe that there is a God and that he rewards those who sincerely seek him" (vs. 6). How much of God do you have to see to convince you that He is God and to believe that He loves you; that He sent Jesus Christ to be crucified and die as the atoning sacrifice for your sins; that Jesus arose from the dead on the third day; that He ascended into heaven; and will come again one day to claim all those whose immortal souls have been saved by God's grace through faith in Jesus Christ. Do you truly believe all these attributes and actions by God as revealed in the Bible, God's Holy Word? "By faith we understand that the entire universe was formed at God's command, that what we now see did not come from anything that can be seen" (vs. 3). The great Biblical characters had these things in common -- they believed in the reality of God; they believed God’s promises; they trusted God’s faithfulness; they obeyed God's commands; they were approved by God for their faith (vs. 2b); and were (or will be) rewarded for their faith. “All of these people we have mentioned received God’s approval because of their faith, yet none of them received all that God had promised. For God had far better things in mind for us that would also benefit them, for they can’t receive the prize at the end of the race until we finish the race” (vv. 39-40). When we get to the point that we trust God to keep His promises even when we may not see all the promises fulfilled in our lifetime, we are demonstrating the kind of genuine faith that pleases God. Chuckle: "A medical school gave each graduate a batch of ten-year-old copies of Time magazine -- so patients wouldn't think they were new in the business." "I am not even worthy to come and meet you. Just say the word from where you are, and my slave will be healed" (Luke 7:7 NLT). You will recall the story of the Roman Army officer (centurion) who had sent some of his respected Jewish friends to ask Jesus to come to his house and heal his valued servant. But before Jesus arrived at his house, the officer sent some other friends to say to Jesus, "Lord, don't trouble yourself by coming to my home, for I am not worthy of such an honor" (vs. 6). Then he continued with the words of our main passage. What a beautiful story of incredible faith. His faith was so strong that he knew all Jesus had to do was speak the words and his servant would be healed. "When Jesus heard this, he was amazed. Turning to the crowd, he said, 'I tell you, I haven't seen faith like this in all the land of Israel!'" And when the officer's friends returned to his house, they found the servant completely healed (vv. 9-10). He was right. At the moment when he expressed his faith his servant was healed. How does my faith and yours measure up when compared to the faith of the centurion? As we hear God speak to us from His Word or in our prayers, do we really believe that He will keep His word? Do you ever catch yourself praying for something while not really believing that God will grant your request? The officer's faith was particularly amazing because he was not a Jew, but a gentile. Jesus taught him and His Jewish audience that faith is not limited to a special privileged group, but can be found in people of all races and backgrounds. Is your faith worthy of having Jesus commend you for it as He did the centurion? If Only or What If? Chuckle: Every year, the teacher sent a note home with each child that read, "Dear parents, if you promise not to believe everything your child says happens at school, I'll promise not to believe everything he or she says happens at home." He (Elijah) asked her, "Would you please bring me a cup of water?" As she was going to get it, he called to her, "Bring me a bite of bread, too." But she said, "I swear by the LORD your God that I don't have a single piece of bread in the house. And I have only a handful of flour left in the jar and a little cooking oil in the bottom of the jug. I was just gathering a few sticks to cook this last meal, and then my son and I will die" (1 Kings 17:10b-12 NLT). Isn't it tempting to use the phrase, "if only," when we are dissatisfied with our lot in life and wish things were different. We may say, "if only I had more money; if only I were better educated; if only I had a bigger house; if only I had a better car." The list of "if only's" could stretch on and on, and it doesn't seem to matter what or how much we have, we still are tempted to say "if only. . . ."
Because of a severe drought, the widow in our text was experiencing extremely difficult times. When Elijah asked her for a drink and a piece of bread, her attitude was, "if only I had more flour and oil, I could grant your request." Perhaps she had not considered the possibility of asking the question: "What if" God worked a miracle making my "if only" into His "what if." Elijah was used of God to teach the widow about the power of God to meet her needs. He told the woman to use her last oil and flour to make a cake for him and then make something for herself and her son. Then he told her: For this is what the LORD, the God of Israel, says: "There will always be plenty of flour and oil left in your containers until the time when the LORD sends rain and the crops grow again" (vs. 14). As God had promised, the widow, her son, and Elijah continued to eat from her supply for many days and there was always enough left in her containers. The widow learned about God's faithfulness when she trusted Elijah, as a man of God, and obeyed him in a step of faith. Faith is the all-important step between God's promises and His assurances. When our "if only's" and feeble faith take control of our minds, miracles seem totally out of reach. But every miracle, large or small, begins with a first step of faith and an act of obedience. We likely will not see the miracle until we take that first essential step of faith. If you find yourself speaking or thinking "if only," stop, pray, think, and say, "what if" I trust God completely -- what miracle will He perform in my life?" It is truly miraculous how God can take our "if only's" and make them His "What if's" when we trust Him. Chuckle: "Let's face it. Traveling just isn't as much fun when all the historical sites are younger than you are." "Whatever you did for one of the least of these brothers of mine, you did for me" (Matthew 25:40 NIV). How do you feel when you walk past a homeless person on the street who is hungry, ragged, and perhaps suffering from mental illness or addiction? Do you see this person as someone to be avoided at all cost or as an opportunity to be of service to that person and to your Lord? Does it make you uncomfortable to be around such people? Jesus does not call us to be comfortable but to help others. In His earthly ministry, Jesus showed a special concern for the neediest of people. They touched His heart deeply and He expects us to be no different. See verses 31-46. Jesus could see into the deepest recesses of people's lives and detect their physical, emotional, or spiritual needs. Their need could be for food and shelter, physical healing, or spiritual healing and forgiveness. When Jesus healed physical or mental disorders, His ultimate goal was spiritual healing and forgiveness of sin. What does Jesus mean when He says what we do for others we do for Him? I once knew a young man who ministered to street people in the heart of London. He said he was able to love and minister to the needs of the down-and-out by seeing them like this. Every time he looked into the face of a needy person, he envisioned the face of Jesus. With this attitude, everything he did was service to and for His Lord. I think the point of this passage is the importance of meeting the needs of others regardless of who they are. We should love everyone and serve every person we can. Love of this magnitude brings glory to God and reflects our love for Him. There is no excuse for our neglecting those with deep needs, and God does not expect us to hand this responsibility over to the government, other benevolent organizations, or even the church. No, Jesus demands our personal involvement in caring for the needs of others. "I want you to share your food with the hungry and to welcome poor wanderers into your homes. Give clothes to those who need them, and do not hide from relatives who need your help" (Isaiah 58:7 NLT). When you show compassion and meet a person's need, you are both serving our Lord and representing Him by showing the same love, mercy and kindness He shows. Chuckle: A British exchange student was asked if her country has an organ bank. She replied, "No, but we have a Liverpool." In Biblical times, a common belief in Jewish culture was that misfortune and suffering were the result of some great sin. It was commonly thought that God punished sins this way. The same question always arose. "Who sinned" and caused this to happen? Someone's transgression must have been the reason. In the case of the blind man, God had a reason for his blindness, but it had nothing to do with sins. It was to provide an opportunity for Jesus to show the power of God at work in the healing of the man's blindness. You may be experiencing a particularly difficult time right now yourself. It might be a serious illness, financial difficulties, or a broken heart, and you may be wondering "what did I do to deserve this?" We must remember that in this fallen world, innocent people sometimes suffer. If God removed all suffering, we likely would follow Him for the comfort and convenience instead of genuine love and devotion. Regardless of the reason for our suffering, God is in control and we should trust Him in every situation. We are assured that Jesus has the power to help us deal with the problem and make us stronger for it. Instead of asking, "why," we would do well to ask, "God, what are you wanting to teach me from this trial?" We should seek a better understanding and perspective on what is happening to us. Whether the suffering is by someone you know, or your own, be assured it likely did not happen because some wrong has been committed. It's that God wants to reveal Himself and His power in your life. Like He did for the blind man when He restored his sight, Jesus wants to show you His power in your life to restore your spiritual sight and give you the ability to see Him in a new and refreshing way. He will help you better understand His will for your life. Chuckle: When I am passing by a church I always stop to visit, so that when I'm carried in the Lord won't say, "Who is it?" "God is working in you, giving you the desire to obey him and the power to do what pleases him" (Philippians 2:13 NLT). Has God given you a deep desire to serve Him each day? Are you constantly seeking opportunities to serve Him by serving others? Or are you content to go through the motions of being a Christian? Does going to church each week satisfy your desire to serve God, or does powerful life-changing worship cause you to follow-up by reaching out in love to others in the name of Jesus at every opportunity during the week? 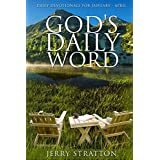 Is Christianity a one-day or a seven-day a week proposition for you? Do your Christian values dictate the way you live and relate to others each day? Right now, you may be saying, "OK, Jerry, you have stopped preaching and gone to meddling!" Maybe so. But I want you to know these questions are as much for me as for you. I think you will agree that the answers to these and similar questions are critical for pleasing our Lord. I pray you have a deep desire to serve your Lord each and every day. If you do, our passage says God working in you -- He has given you that desire. These desires can only come from your love relationship with God through Christ. Out of gratitude for your own salvation, you may have a desire to see others come to Christ. You may sense God's call for you to live for Him more fully. All of these feelings come from God's Spirit working within you. I think many sense the call of God to serve Him, but are afraid to step out in faith and begin their unique type of service and ministry. It doesn't matter if you're strong, talented, smart, or good-looking, God has an area of service for which He has gifted you, and He will empower you with all you need to serve Him and please Him. Please ignore any weaknesses you may think you have that limit what you can do for your Lord. It's in through our weaknesses that God's strength is magnified. Through His Spirit, you will receive everything you need to do great things for Him. You may have heard, "God is not interested in your ability, but your availability." "God does not call the strong, but strengthens the called." Never doubt that you can have a great impact for your Lord if you will only take that first step and Let Him guide you and empower you. 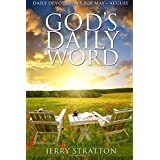 Notice our passage again: "God (Holy Spirit) is working in you, giving you the desire to obey him and the power to do what pleases him"
Chuckle: A man walked into a bank to hold it up and gave the teller a note that read, "This is a stickup. Give me all your money." She passed a note back to him that said, "Fix your tie. We're taking your picture." "He (Jesus) must become greater and greater, and I must become less and less" (John 3:30 NLT). It seems to be human nature to want to elevate our importance in the eyes of others. Pride causes us to want to take credit for the good in our lives and blame others for the negative. The words of our passage were spoken by John the Baptist in describing his role in God's kingdom as compared to that of Jesus. He would never allow himself to be placed on a pedestal equal to or above that of his Lord. John had been sent by God to herald the coming of the Messiah. Every day, As Christians, we are tempted to claim honor for ourselves for things obviously accomplished by God's power or the efforts of others. John's eagerness to subordinate himself and decrease his own importance reflects unusual humility. Pastors, teachers, deacons, and other Christian leaders are often tempted to call attention to their own success rather than Christ, the One they supposedly serve. Humility becomes especially difficult when others heap praise upon us for our ministry and service. Allowing pride to replace humility has caused the downfall of some otherwise great Christian leaders. But making ourselves less that Christ may become greater is something each of us must deal with every day. Problems in this area are not limited to the more prominent Christians. Corre ten Boom was once asked if it was difficult for her to remain humble. Her reply was simple. "When Jesus rode into Jerusalem on Palm Sunday on the back of a donkey, and everyone was waving palm branches and throwing garments on the road, and singing praises, do you think that for one moment it ever entered the head of that donkey that any of that was for him?" She continued, "If I can be the donkey on which Jesus Christ rides in His glory, I give him all the praise and all the honor." The principle of making ourselves less is also applicable in our dealing with other people as well as with our Lord. When we give credit to others and refuse credit ourselves, we are reflecting the attitude of Jesus when he said he came not to be served but to serve. "Your attitude should be the same as that of Christ Jesus" (Philippians 2:5 NIV). When we give credit to God and to others rather than ourselves, we will be elevated in their eyes much more than if we try to draw attention to ourselves. Jesus said to his followers, ". . . whoever wants to be great among you must be your servant, and whoever wants to be first must be your slave" (Matthew 20:26-27 NIV). Chuckle: "My next door neighbor told me he had been fishing every day for two weeks and was so tired out he had to take off a couple of days to go hunting." "An honest answer is like a kiss on the lips" (Proverbs 24:26 NIV). "It is an honor to receive an honest reply." (NLT). "As iron sharpens iron, a friend sharpens a friend" (Proverbs 27:17 NLT). A tried and trusted friend, whose honesty is never in doubt, is one of life's greatest treasures. When we are honest with one another, trust is developed, friendships are strengthened, and fellowship becomes warmer. True friends refine us, shape us, sharpen us, and help us become better persons. We should welcome their honest answers and edifying criticisms. "Dr. Madison Sarratt, who taught mathematics at Vanderbilt University for many years, before giving a test would admonish his class something like this: 'Today I am giving you two examinations; one in trigonometry and the other is honesty. I hope you will pass them both. If you must fail one, fail trigonometry. There are many good people in the world who can't pass trig, but there are no good people in the world who cannot pass the examination of honesty'"
We can become angry with the one offering the constructive criticism. We can easily turn our anger and disappointment against the ones who are only being honest with the intent to be of service to us. It's easy to find fault with the one criticizing us to divert attention away from our shortcomings he has revealed. Another possible reaction might be to internalize the criticism and let it fester until it becomes a destructive obsession. This leads to a decline in self-confidence and our sense of self-worth. This reaction won't help us deal with our weaknesses or imperfections. I think we agree this is not a healthy way to deal with honest criticism. The third possible reaction is to take the honest criticism at face value with the intent to analyze it to see what we can learn from it that will make us better human beings. The Christian should go to the Lord in prayer and bring the criticism to Him. We should ask God to help us evaluate the criticism in light of His Word, reveal the truth about it, and teach us how to see the flaws in our character that need attention. Yes, honesty is to be admired. But sometimes people try to soften the blow or bend the truth to avoid hurting a friend. We should remember that the one who gives us an honest, straightforward answer, or criticism, is most likely a loyal and true friend who has our best interests at heart. Such a friend is to be cherished. “But you are not like that, for you are a chosen people. You are a kingdom of priests, God’s holy nation, his very own possession. This is so you can show others the goodness of God, for he called you out of the darkness into his wonderful light” (1 Peter 2:9 NLT). “But this precious treasure—this light and power that now shine within us — is held in perishable containers (clay pots), that is, our weak bodies. So everyone can see that our glorious power is from God and is not our own” (2 Corinthians 4:7 NLT). 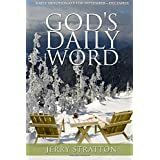 Previously, we found that for healthy connections and relationships with God and others people, we must know ourselves and value ourselves. Today, we are reminded that we must share ourselves as God shares Himself with us. Giving of ourselves in service to others is a divine directive for all Christians. You have worth and you are worth knowing. You have much to share with others, not the least of which is your personal testimony about your relationship with Jesus Christ. We have many different ways to give to people with physical, emotional, or spiritual needs. . Picture, in your mind’s eye, an ordinary clay pot, one with an ugly crack down the side. We are all imperfect and cracked pots (maybe crackpots). But when the light of Jesus is put into a cracked pot, an imperfect vessel, the light shines out through the imperfections. God can use you as a dispensing receptacle of his love/light. That light of life penetrates darkness and touches people out there in the world. You and I may not solve all the problems of the world, but we can make a difference one single life at a time – for that person who is hurting and needs Jesus. Before we can effectively share with others, we must possess the heart of a servant, as Jesus modeled for us in Matthew 20:26-28). God knows you inside and out, and He loves you and values you as a precious creation. He wants to share His light and love with others through you. He wants you to have a healthy self-image and have healthy relationships with Him and other people. The key to living a victorious Christian life is to discover who you are in Christ.